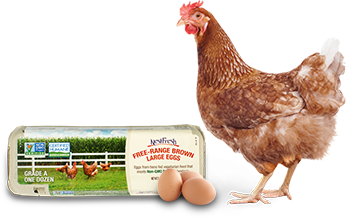 Our liquid eggs are made from NestFresh 100% cage free eggs to give you the all-natural, farm fresh taste you love with none of the stuff you don’t. Do you need us to add some sugar or salt to help tailor your taste? No problem. Do you need them pasteurized to make the perfect meringue? You’ve got it. We work hard to ensure our products meet food safety standards, so each of our liquid whole eggs, egg whites, and egg yolks are pasteurized to ensure a safe bake. One of our highest priorities at NestFresh, in addition to the sustainable and humane treatment of our hens, is providing great customer service. We specialize in designing custom programs and products to meet your food service and manufacturing needs, including private label programs. 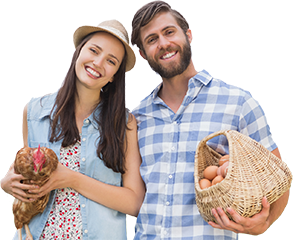 If you need a certification, product state or quantity of eggs for your business that isn’t part of our retail offerings, we’ll develop the right product mix for you. Contact us to start a custom program today.